Can I transfer the videos on my DVD to iPad? If yes then how? What media files can be transferred? There are many people who get confused whether it is possible to copy or transfer the videos of DVD to iPad or not. Well, you don’t have to worry about it because the answer is yes. For all the people who want to know how to put DVD on iPad, we have the perfect guide for you. In this guide, we will discuss all the possible ways that can help the iOS users to get their media files into iPad. 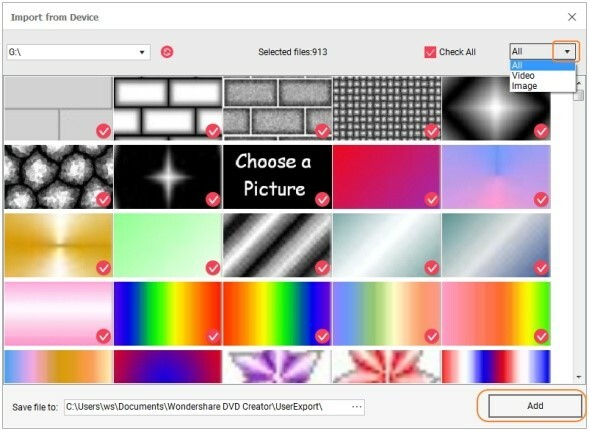 At first, we are going to discuss the most popular Wondershare DVD Creator software which can convert the DVD to video format which can be further transferred to the iPad. 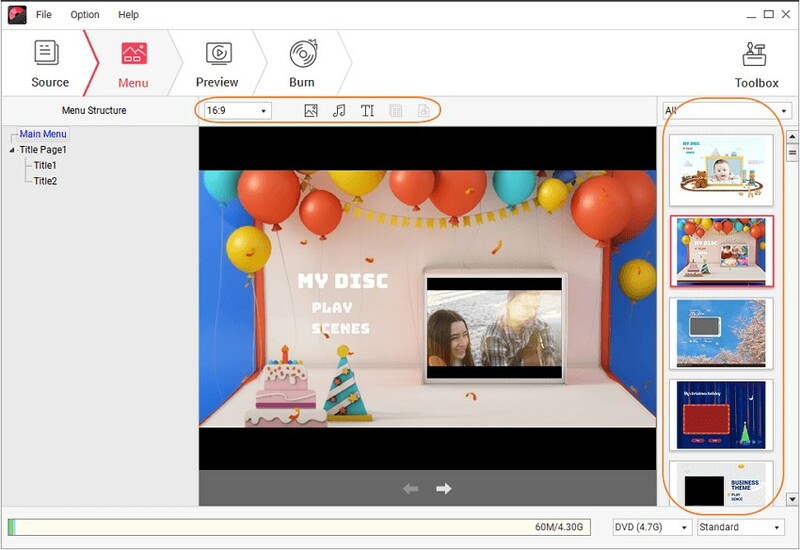 The Wondershare DVD Creator is a special utility toolkit which can convert the DVD to MP4, AVI, MOV, MKV, WMV, and other video formats so that it can be played on mobile phones and other devices too. With the help of Wondershare DVD creator along with iTunes, you will be able to transfer DVD to iPad. We are going to explain the process in two parts. The first will contain the detailed process on how you can convert the DVD to video and the second part will discuss the syncing the videos to iTunes so that it can be transferred to the iPad. Download and install the software on your computer and then launch it. Form the homepage; select the More DVD Tools option. In the next screen, you will see multiple options. At the bottom of the software’s window, select the DVD to Video option and move on to the next step. A screen will open up where you can load the DVD disc. Insert the DVD into the drive of your computer and import it in the software’s interface to start the process. You will be able to see the files of the disc. Select the video or movie file that you want to transfer. You can also have a preview of the files by tapping on the Play option if you are not sure which file you want to copy. To select the file check the box in front of the file name. 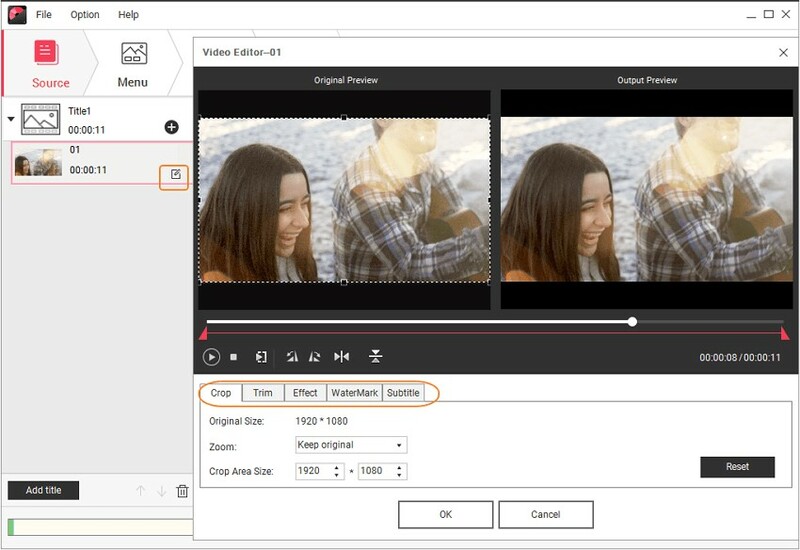 When you have selected all the files that you want to convert, click the drop-down menu in the Profile section and select an output format for the videos. And then finally tap on the Start button to initiate the ripping process. When the process is finished you will get a notification that “All conversion tasks have been finished”. You will find the ripped video files into the default location where the files of the software are stored. You can also customize the output storage folder by clicking on the Browse option. Step 1 Make sure that you have the latest version of iTunes on your system. 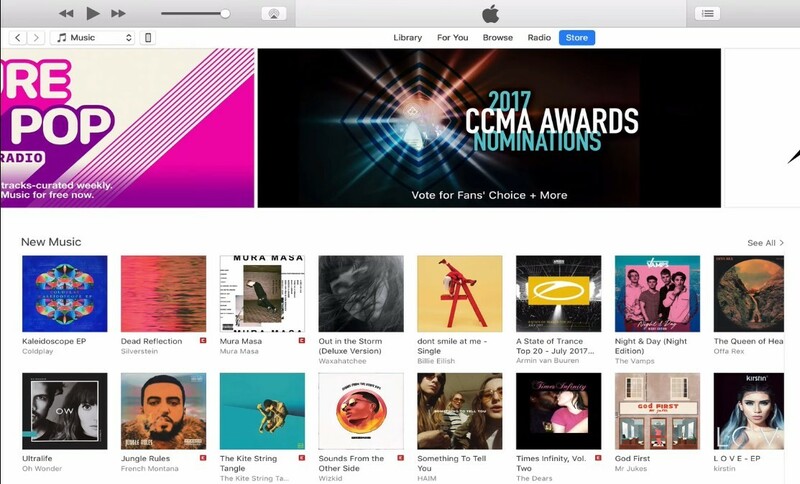 Launch iTunes and select the Add to Library option from File menu. Locate the files that you want to add and click open. This will add all the files to the iTunes library. Step 2 Once the files are added to iTunes, connect the iPad to the computer using a USB cable and allow the iTunes application to detect it. Step 3 Go to the Settings, and under the list of settings select the type of content that you want to sync. As here we are syncing the videos, we will select the Video option and it will display the list of files present in your iTunes library. Step 4 Either you can check every single file that you want to sync or select them all at once and click on the Apply button at the bottom of the screen. The syncing process will start automatically and if it doesn’t start then click on the Sync button. And finally, you will be able to play the files on your iPad. Therefore, you have successfully transferred DVD videos to iPad with the help of Wondershare DVD Creator. We have discussed regarding the process of transferring the DVD files to iPad in Windows OS. Now, it is time that we carry out the process on Mac OS. 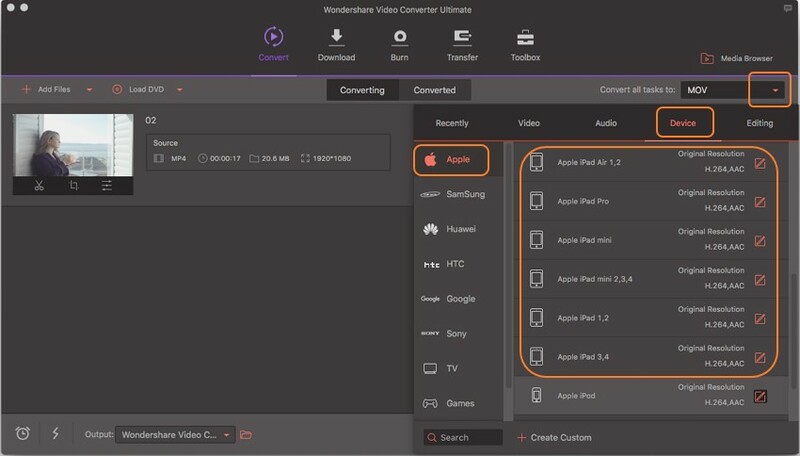 For Mac operating system we have the Wondershare Video Converter Ultimate that can copy the DVD files to iPad. It is really an ultimate DVD to iPad converter which allows the users to convert the format of the video files and then play them on iPad. 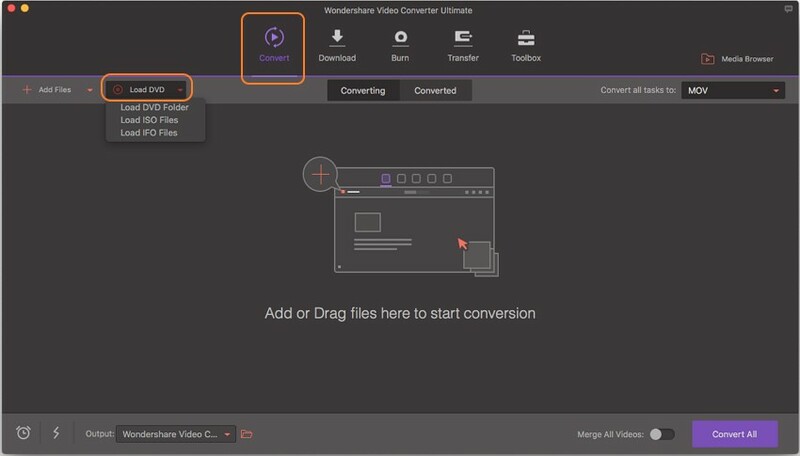 Step 1 Firstly download and install the Wondershare Video Converter Ultimate to your Mac and launch it. In the main interface, you will see various options. Select the Convert tab from the option to start the process. In the convert tab, you will see an option stating Load DVD. When you click on the option, a drop-down menu will appear and you will have to choose the inserted DVD from the list. Step 2 Select any of the options in the above step, the DVD files will be added to the software’s interface. In the “Convert all files to” drop-down menu, select the device on which you want to play your files. As we are trying to play the files on iPad, we will choose the iPad option. Step 3 Finally, save the converted files into a location which you prefer. You can customize the location in the Output tab. At last click on the Convert, All option and the conversion will start. Within a while, all the files will be converted to an iPad compatible format and you will be notified. As you have successfully transferred iPad videos to Mac thus, you can now play the videos of DVD disc on iPad too. Other than turning DVD to video, the Wondershare DVD Creator is mainly used for burning various types of media files to data disc too. It is an all in one DVD tool which can burn videos and photos from iPad to DVD directly and quickly. So if you also want to know how to transfer video/photos from iPad to DVD, then the answer it still Wondershare DVD creator. Step 1 Connect your iPad with your system using a USB cable and launch the Wondershare DVD Creator. 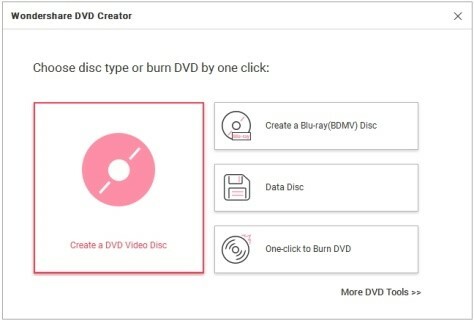 From the homepage, select the Create a DVD Video Disc option. Step 2 In the next screen, you will be directed to the Source tab. From the tab, click on the “+” icon and the search window will open up. Step 3 From the search window, navigate to the iPad disc and select the videos or photos that you want to burn to the DVD. You can also use the drag and drop method to import the media files to the software’s interface. Step 4 All the files that are added to the software will be displayed as thumbnails on the screen. You can perform editing on the files within the software. When you will scroll through the thumbnails you will see a pencil like a sign. Tap on that icon and you will be able to edit the videos. You can crop, rotate, trim and add effects to the videos and photos. 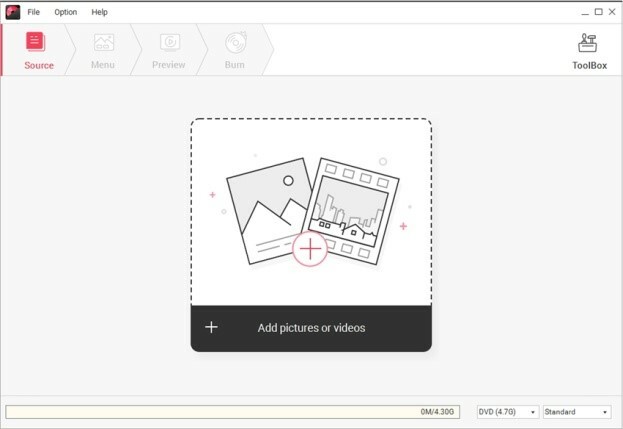 Step 5 In the next screen, you will be on the Menu tab where you can add template, music, text and other photos to the files. If you don’t want to change the video and photos at all, then move on to the Preview tab. Step 6 At last, you will get to the Burn Screen where you can edit the disc label, select the burner, choose a TV standard, disc playback mode, and the folder path where the files will be burned. Finally, tap on the Burn option to initiate the burning process of iPad videos to DVD. Thus now you know how you can burn iPad video to DVD without losing any quality. 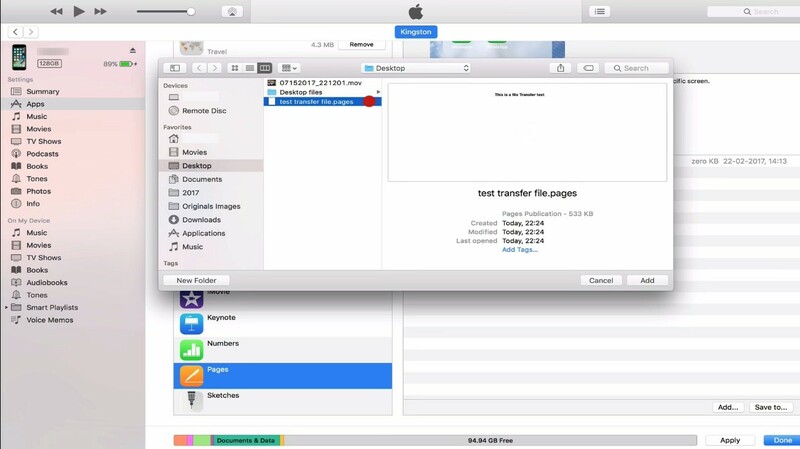 Once you have already transferred the iPad videos to the computer you won’t have to convert iPad video to DVD format. It can directly be done during the burning process. And also the burning process of videos via computer is a lot easier than using the iPad. so, you must know how you can transfer videos/ photos from iPad to PC/Mac too. Step 1 Connect your iPad to your Mac using a digital cable and launch the iTunes. 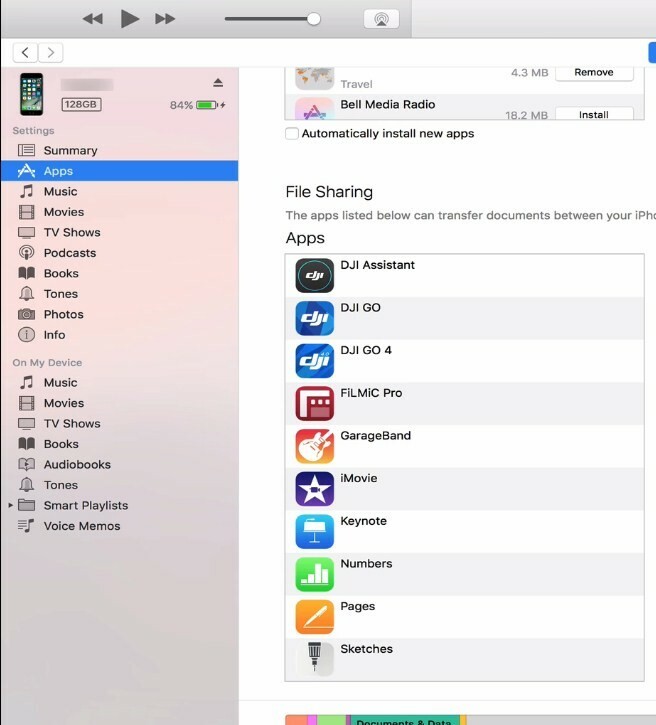 Step 2 In the iTunes interface, tap on the Device icon and click on the File Sharing option. Step 3 On the left side, you will see the app list from where you can transfer the files. From here on you will have two options. Step 4 If you want to transfer the files from computer to iPad, then click on Add button and select the files that you want to transfer and then again tap on the Add button. Step 5 If you want to transfer the video files from iPad to computer then select the file from the list on the right side and right-click on it and choose the Save to option and decide where you want to save the file. 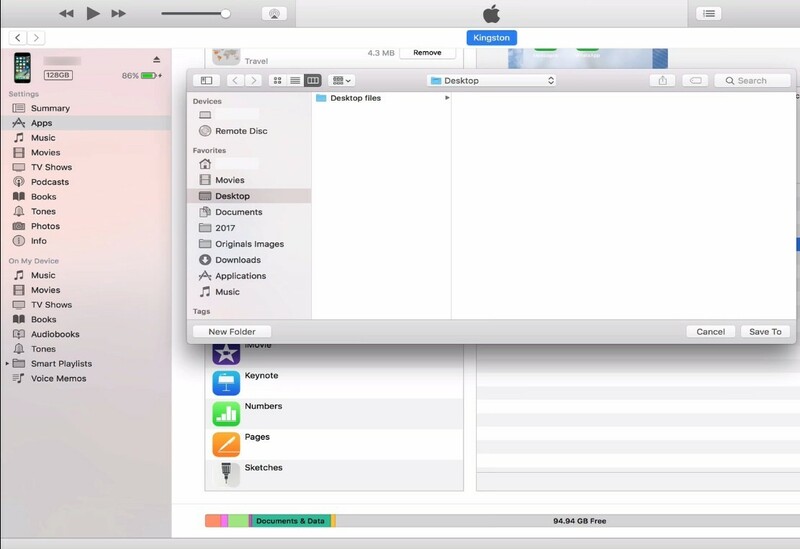 And that’s how you can transfer the files from one device to another using the iTunes. Hence, in this article, we read about the ways on how to transfer photos from iPad to DVD. Using the Wondershare DVD Converter and DVD Creator are both the optimal choice for the process. It is totally up to the users which one is more convenient to them. With the help of these softwares, you will be able to transfer the iPad videos to DVD easily and quickly.